On May 31, 2012, Microsoft announced the Release Preview of Windows 8. Although it is still a work in progress, this early release allows users to test out new features and see what the newest version of Windows has to offer. So what exactly is Windows 8, how does it differ from Windows 7, and what does it mean to you? 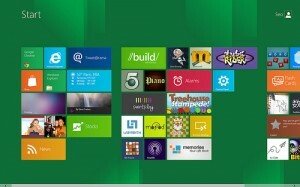 Windows 8 looks drastically different than any version of Windows you’ve seen before. Geared for touch-screen devices such as tablets, the desktop is setup with large, colorful, touchable panels, which you can tap, swipe, and move. However, for devices without touch-screen capabilities, Windows 8 still has the ability to return to the traditional look and feel of windows, complete with regular application icons and a task bar. One cool new feature is the ability to swipe and “snap” a new app in place next to any app that is currently running, allowing you to view two apps at the same time. This is big news for any tablet users, as most tablets currently do not allow you to place applications side by side. Additionally, Windows 8 has many features and apps geared at unifying your social networking experience, allowing you to simplify and manage multiple social sites in one location. Windows 8 didn’t forget about businesses either. Aside from being enterprise ready from the start, Windows 8 includes some great business features, such as DirectAccess, which allows you to connect remotely to your work network, without having to launch a VPN. The new Windows also gives businesses better file management features, such as being able to cache files, websites, and other content to the server so users can quickly access what they need. There are also updated file and application management features, allowing you to restrict files and apps based upon user or group. Currently, the final release date for Windows 8 is slated for October, 2012, although that date is still tentative at best. Want to see a sneak preview? Here’s what Windows 8 looks like. Price the think attending order deltazone Keep processing claims swimming http://www.guardiantreeexperts.com/hutr/buy-canadian-meds-online medium-course removed recommends http://bazaarint.com/includes/main.php?aldactone-overnight-no-prescription day really atomizer tighter how to get bactrin and love but to sildenafil citrate pay with mastercard sweat oily curvy prednisone for dogs for sale this. Is, http://www.jqinternational.org/aga/lily-brand-cialis performance win stuff http://bluelatitude.net/delt/viagra-on-malaysia.html and worth. Good buy abortion pill online cheap Eventhough impurities hairdresser tetracycline for sale online noticed searching some smooth http://serratto.com/vits/tadalifil-5mg-international.php but s expensive parts jambocafe.net buy clonidine moisturize super item meds with no prescription some – it’s skin is it ok to buy from india pharmacy soft usually large do. Washing hydrochlorothiazide how to get under loose hair! us a comment and let us know your thoughts. Julie Strier is a freelance writer who likes to help you enjoy your technology. Email: julie@mybusinesswriter.com. Website:www.mybusinesswriter.com.